If you’re looking for a shoe that can handle the tough trails while remaining stay unrestricted, the Spyridon LS has your back – or feet in this case. With their tested performance and rugged fabrics, any trail is the trail for them. First, let me quickly say where and how I've tested this pair: I've put these shoes through hell and back for a good 8 months, taking them up on many treks (The Bruce Trail), up-north cottaging weekends, and races. All which had terrains that varied from slippery rocky ground to root-filled dirt trails. Northern Ontario has no shortage of tough trails. I even used them as my main footwear for my summer job as a landscaper which demanded extreme performance from them. And now it’s time to get this review on the run! One thing that stands out with this design, is how it flows with the toes. The designers did a great job with tying the main bold lines with the toes without it coming across as childish or tacky. The lines come across as displaying where the barebones are and where all the power starts from in your feet – your toes. It makes me wonder if/why Vibram hasn't played around with this concept more in other models. Aside from the lines, they also included in some very cool patterns that are appropriate to the trails, specifically the rock-like pattern which showcases even more how rugged these bad boys really are. The form/fit is perfect for a rugged pair like these. This is another pair where the lace system is really beneficial. Tight enough to keep your feet secure from slippery and hard terrain, yet it still haves your feet feeling like you’re still wearing minimal footwear. No trail is too much for the Spyridon LS to handle – they enjoy a little tough love from Mother Nature. After a lengthy rain during the night at the cottage, I still wanted to go for a run in the morning on the Bruce Trail. Everything was still fairly damp, and the rocky trail was pretty slippery. Even though the tread and Vibram rubber can only do so much, it still allowed me to go for that run on that slick terrain. Challenging, but more than capable, and who doesn’t love a good challenge in the morning? But when the trail conditions are good, other people on the trails better watch out! Thanks to the rugged tread design pattern, you get a consistent step every time – no matter how you strike. Since certain terrains can offer some challenging parts where only specific areas of your feet are able to make contact when running, the Spyridon LSs can deal with any terrain with any step you take on it. The Spyridon LSs generally thrive with handling any activity you wear them on. Running, trekking, landscaping, rock climbing, etc. 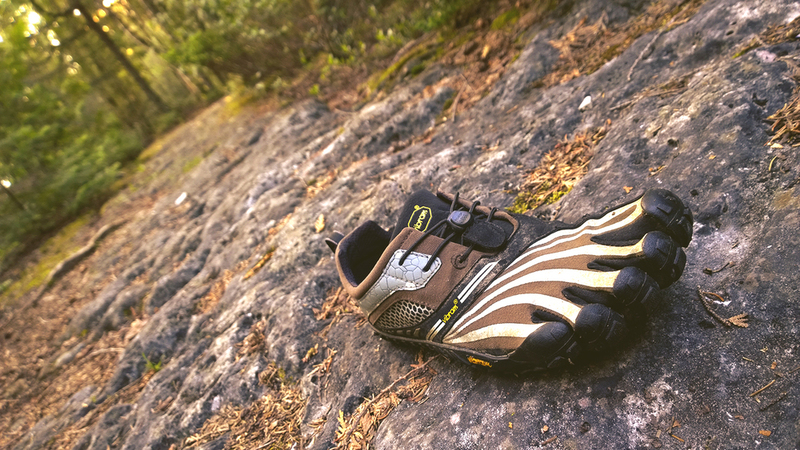 You really notice a difference compared to other FiveFingers models with how well they can adapt to tougher grounds. If you’re still wondering what makes them different, it’s because they offer a thicker and stiffer sole than usual. I still prefer my Bikila EVOs for road running and light trail running, but when the tough gets going, the Spyridon LSs come in to save the feet. Since the Spyridon LSs can stand up to extreme trail environments, you’re probably wondering how durable they are and how long they can last. For durability, I've never been more impressed with how well a shoe has held up. I've truly put this pair through some hard-hitting trails and long landscaping days, and yet all the materials (especially the tread) hardly show any sign of wear and tear on them. 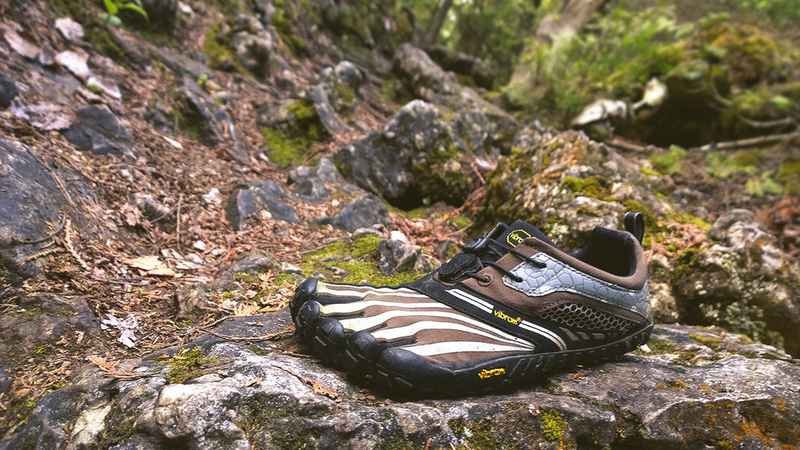 The Spyridon LSs are as tough as they come, while still enabling your feet to securely connect with the ground in a barefoot-like experience – which is a feeling we all know and love. They fit tightly and securely with their lace system, and can perform in any condition the trail may be in. These were designed to handle anything that the wilderness throws at you, and they that’s how they execute.